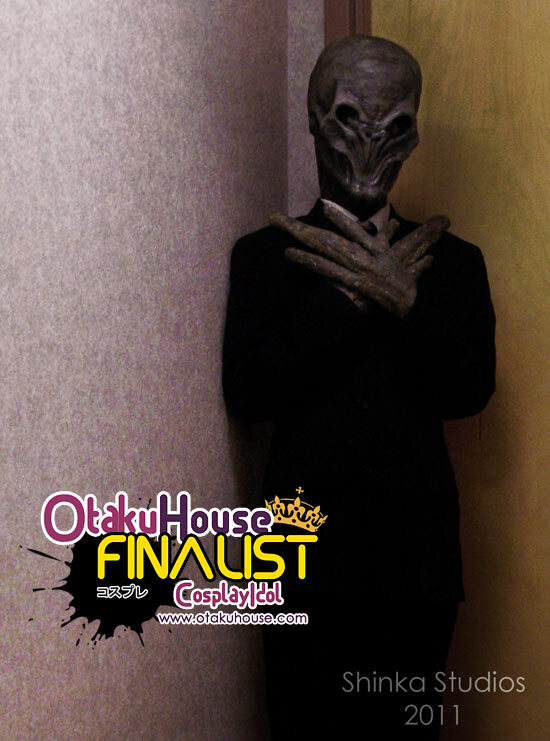 North American Finalist April Martin impressed all with her creepy rendition of Silent Hill’s Lurker in the Qualifiers. 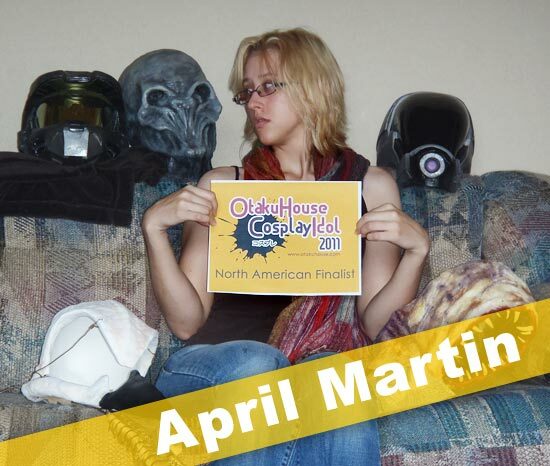 Here is a showcase of April Martin’s cosplays. The main body suit is as close to burlap as I would go because that stuff can be super itchy. The feet and hands are foam painted to look like wood. The skull is my baby. It was crafted from paper clay. I made a small mistake on the position of the eyes, so when I wear it, I can only look out of one eye hole at a time. Photo taken by Zukazan. I got to perfect my skill with helmet creation with this cosplay. 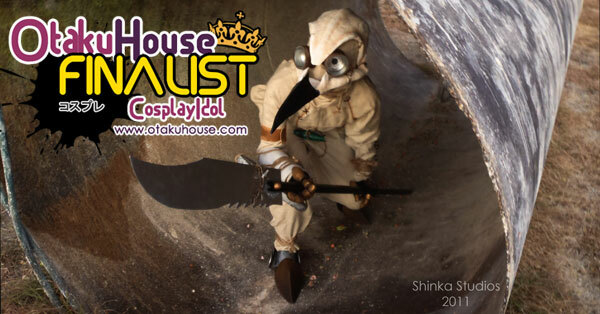 I did it from Pepakura and even got to build my own vacuum table to create a custom visor. Yes. I can see out of it. lol. For the unique purple material, I got to design it on the computer and have it custom printed. The rest is a combination of leather, small cast bits, and foam coated in super glaze. Photo taken by Mike Boike. After watching the episode where they appeared, I knew that I had to make some. So, I made myself learn how to sculpt and mold latex masks. When I wear it, I have to look out of the nose holes. The hands are latex gloves covered in latex and tissue paper, much like how I did my Silent Hill Lurker. Photo taken by ConstellationWaltz. April Martin, back to Normal. April is the spooky one. 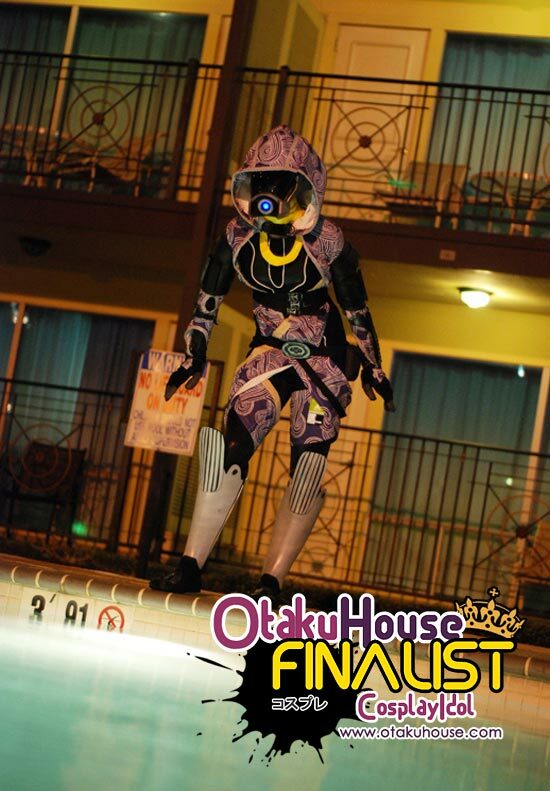 I almost pissed my pants when I first saw her Otaku House Cosplay Idol Qualifiers entry. If you resonate with her passion for the creepy, support April at the top of the page by clicking ‘like’ or ‘Google +1’!